M2M refers to technologies that allow both wireless and wired systems to communicate with other devices of the same ability. M2M uses a device (such as a sensor or meter) to capture an event (such as temperature, inventory level, etc. ), which is relayed through a network (wireless, wired or hybrid) to an application (software program), that translates the captured event into meaningful information. 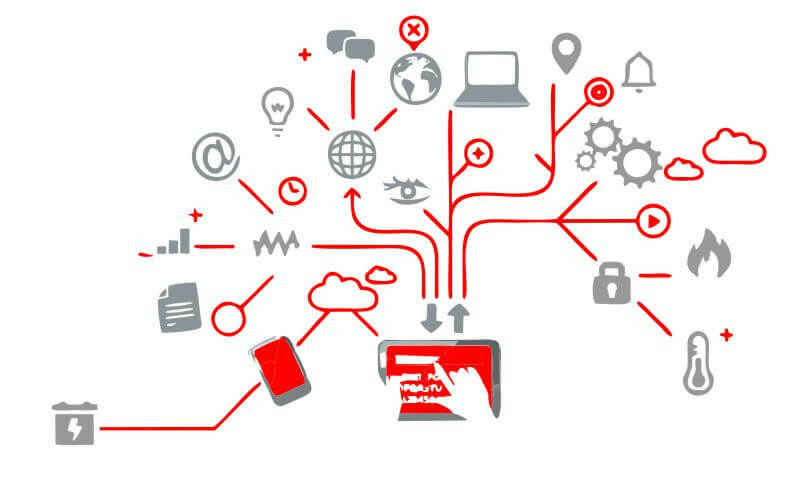 Modern M2M communication has expanded beyond a one-to-one connection and changed into a system of networks that transmits data to personal appliances. The expansion of IP networks across the world has made it far easier for M2M communication to take place and has lessened the amount of power and time necessary for information to be communicated between machines. With over 25 years’ experience in delivering scalable SCADA solutions into industries such as water and waste water, utilities, oil and gas, mining, telecommunications and a host of other industries, Adroit Technologies was the perfectly placed to leverage its SCADA solution and build the Adroit M2M platform. Adroit’s Agent/Object architecture within the I/O Server offers a lot more built-in functionality such as scripting, transacting data into databases etc. saving users massive development time. Built-in .NET the User Interface Designer allows users to build point-to-point or full business scale applications and have these available, securely over the internet. With over 25 years’ experience in telemetry systems Adroit Technologies developed the M2M driver. The driver was designed to include all the best features and requirements for an M2M solution. The field device is the master of communications, this means that the device makes the connection back to the host Adroit SCADA. This means that users are not bound to using any network operators services or be bound by any contractual obligation. It is possible to simply put in any data SIM card. The big advantage is that it becomes a truly global M2M capable solution as you do not need fixed IP’s. The only fixed IP you require is at the host SCADA. The internal link manager gives users an indication that there may be a problem on a particular device. This allows users to alarm if the communications link goes down. The protocol supports polling for real-time data, polling for history of data stored on the device and exception based and alarm/events data. All these are buffered should the link go down and emptied once the link is re-established. This gives users the ability to manage how much data they wish to transmit. In order to assist with the data management it is possible to “empty” the historical buffer based on a percentage use basis (25%, 50%, 75% and 100%). The Adroit M2M solution does not require a fixed IP or Dynamic DNS middleware. This means you can use this solution on any GPRS network and not require a static IP from your ISP (Internet Service Provider). The only fixed IP required is at the Adroit M2M I/O Server. Low Bandwidth Impact: Adroit M2M offers efficient communications with cost effective data transfer costs. The hardware can be configured to send data on a time interval, when storage buffer limits are reached or manually polled. Event and alarm data is transmitted to the SCADA immediately. Communications can be set to ”live” mode which will show real time data. This gives users a complete capability of managing what and how much data is transferred.